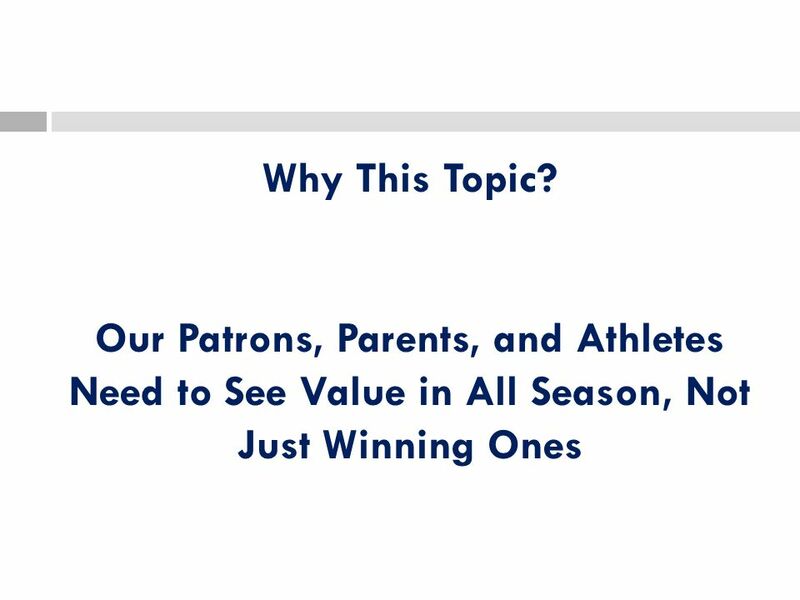 3 We have activities because of there educational value- The value is measured by our respective communities during our seasons The value is measured by our respective communities during our seasons Ultimately they determine if that value is worth the costs of the program Ultimately they determine if that value is worth the costs of the program What did the parents perceive to be the value of your last season? 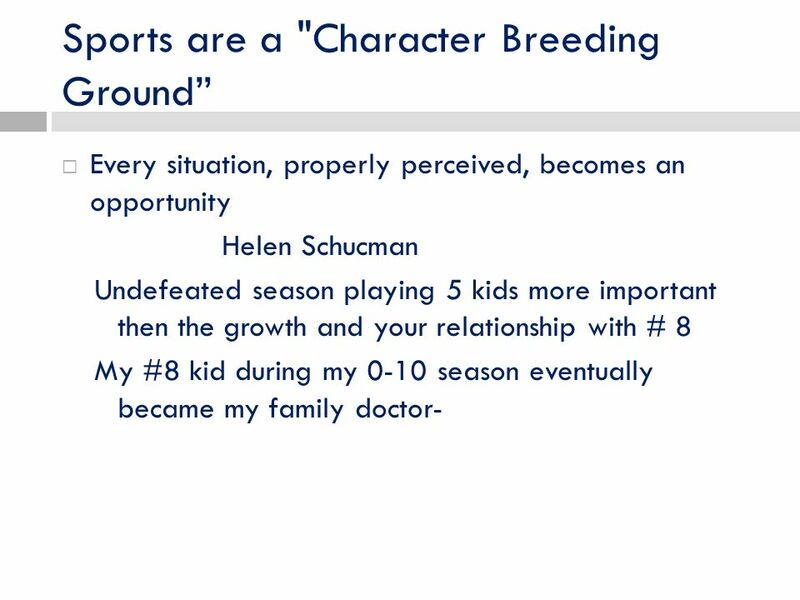 What did the parents perceive to be the value of your last season? 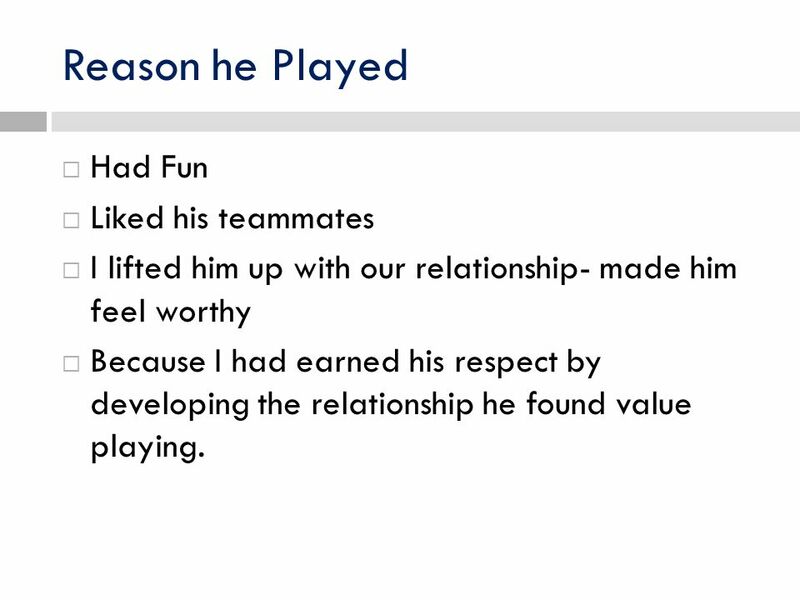 9 Reason he Played Had Fun Liked his teammates I lifted him up with our relationship- made him feel worthy Because I had earned his respect by developing the relationship he found value playing. 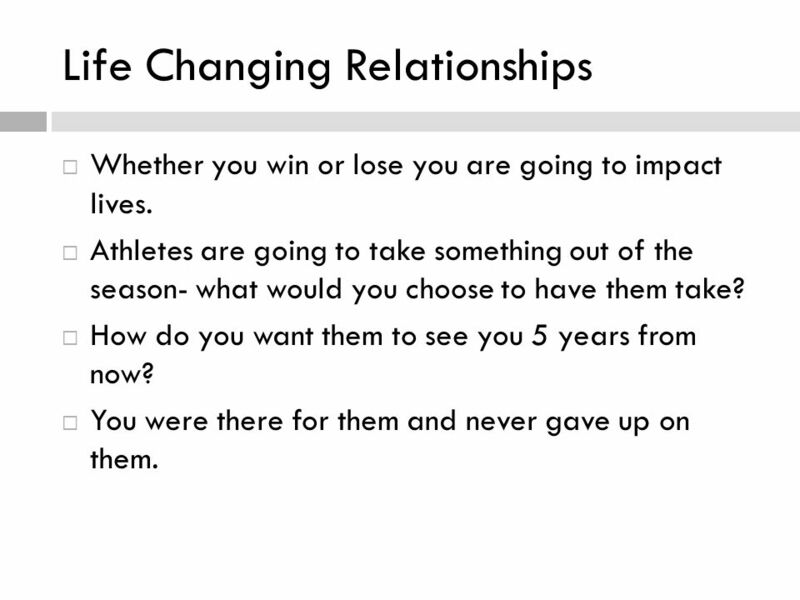 12 Life Changing Relationships Whether you win or lose you are going to impact lives. 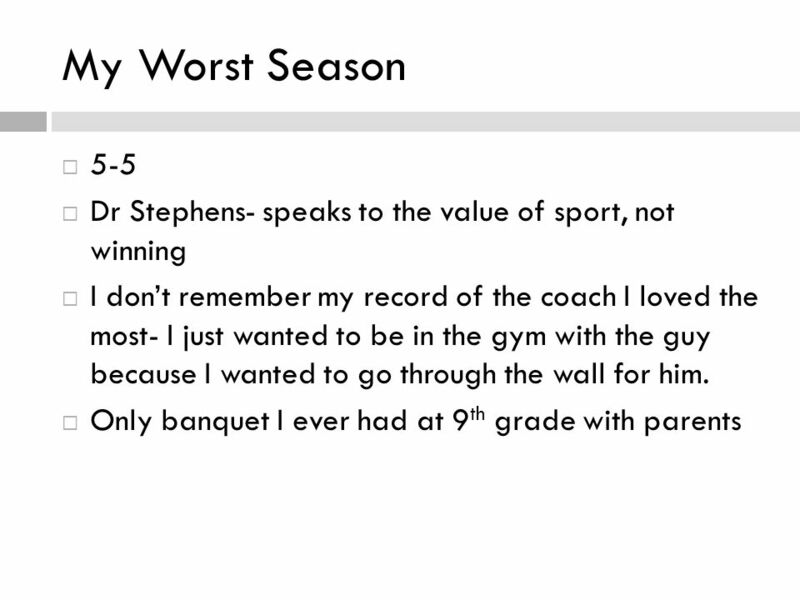 Athletes are going to take something out of the season- what would you choose to have them take? How do you want them to see you 5 years from now? You were there for them and never gave up on them. 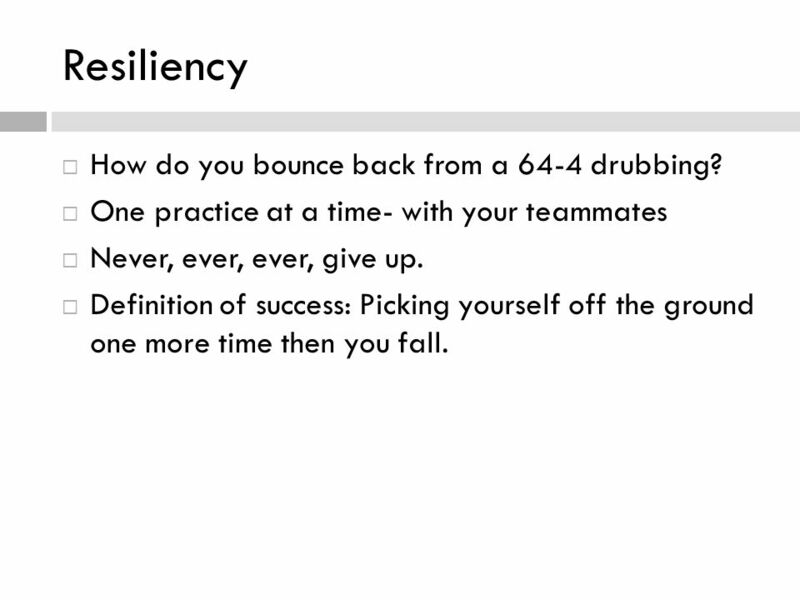 13 Resiliency How do you bounce back from a 64-4 drubbing? 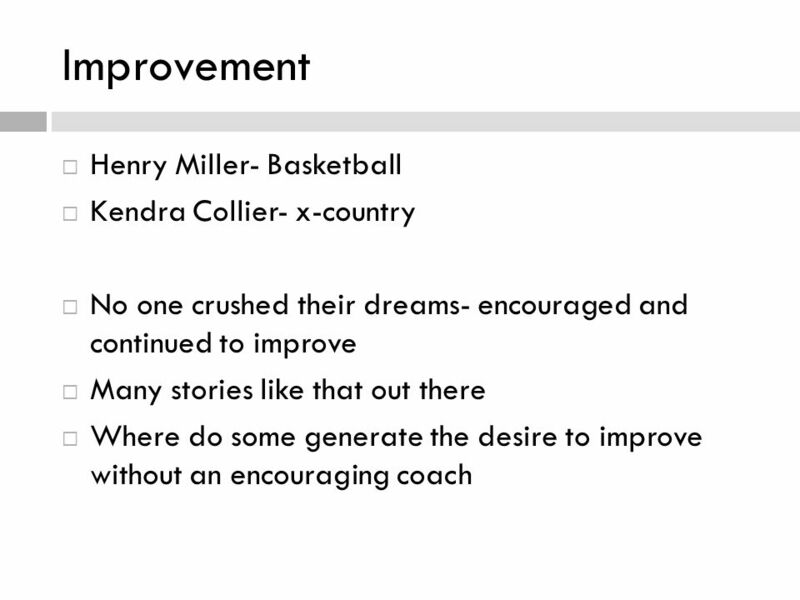 One practice at a time- with your teammates Never, ever, ever, give up. Definition of success: Picking yourself off the ground one more time then you fall. 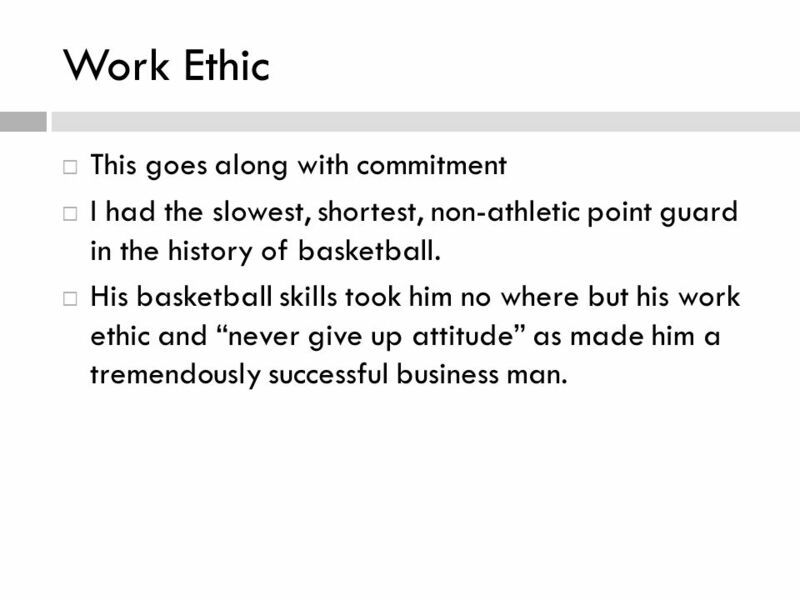 18 Work Ethic This goes along with commitment I had the slowest, shortest, non-athletic point guard in the history of basketball. 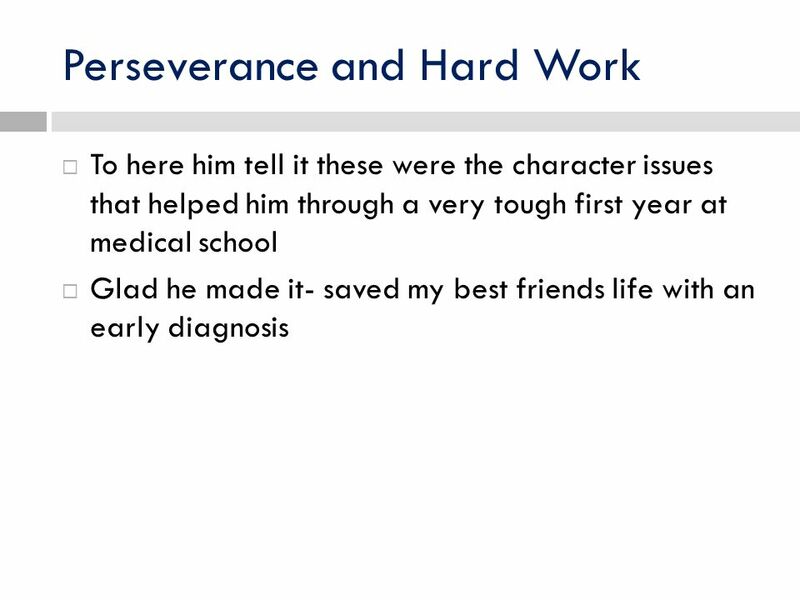 His basketball skills took him no where but his work ethic and never give up attitude as made him a tremendously successful business man. 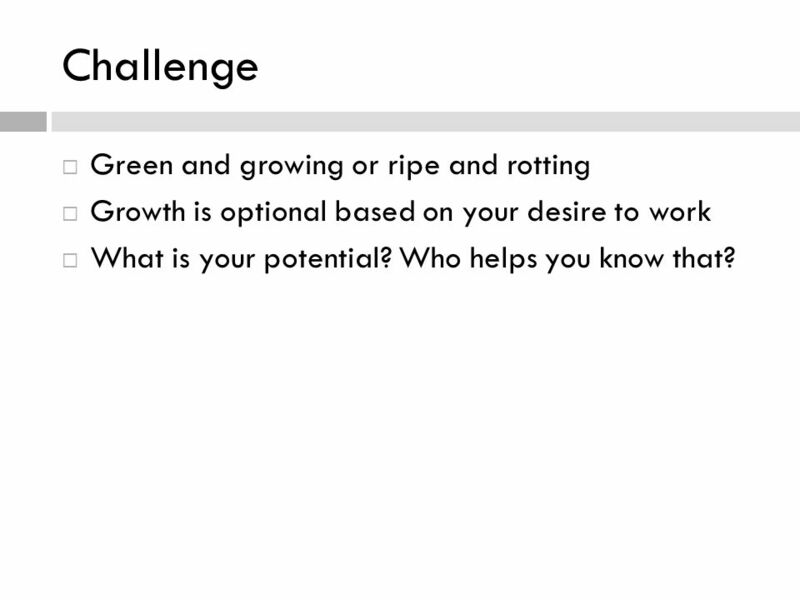 19 Challenge Green and growing or ripe and rotting Growth is optional based on your desire to work What is your potential? Who helps you know that? 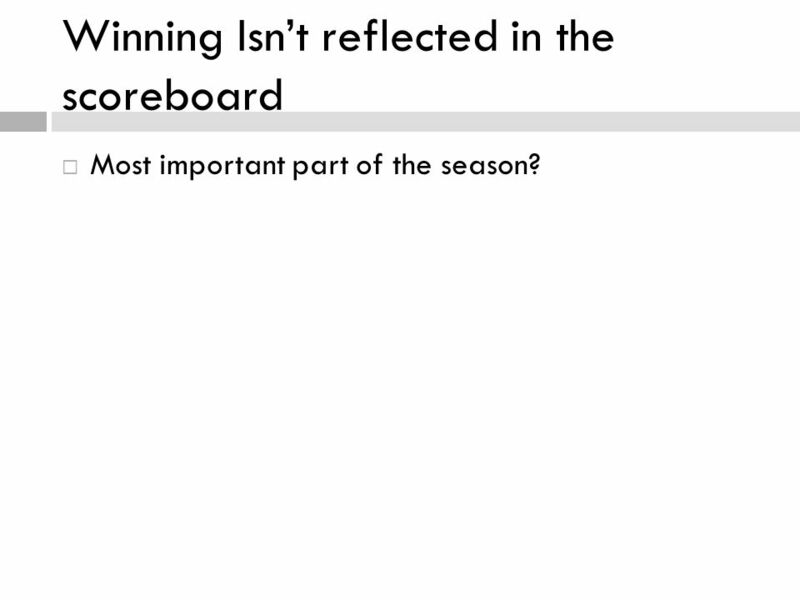 21 Winning Isnt reflected in the scoreboard Most important part of the season? 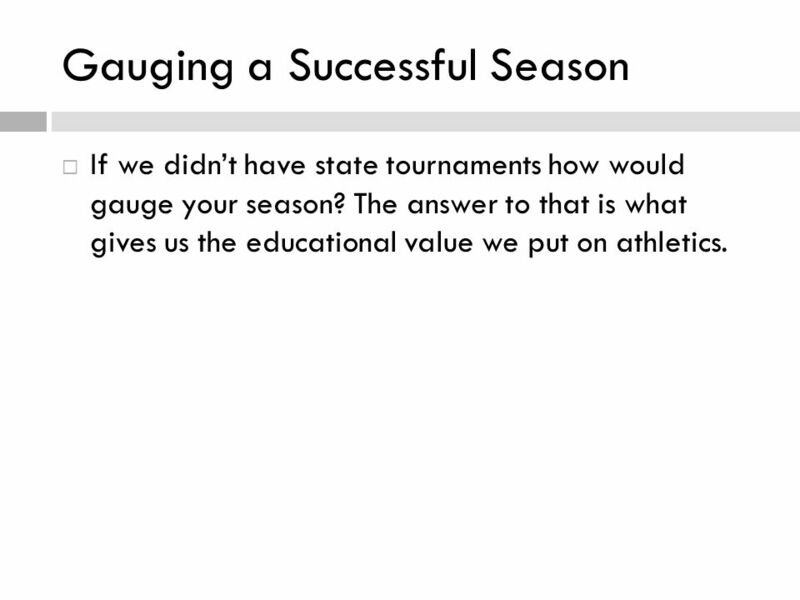 23 Gauging a Successful Season If we didnt have state tournaments how would gauge your season? 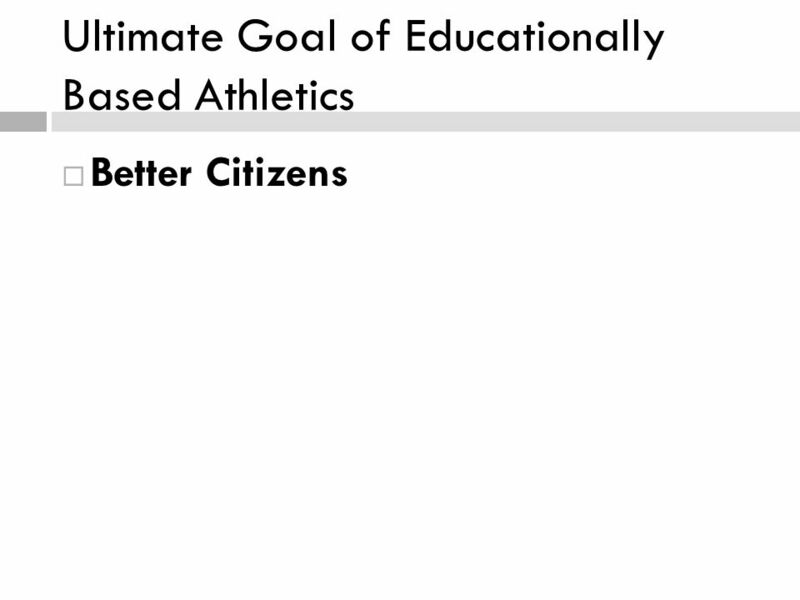 The answer to that is what gives us the educational value we put on athletics. 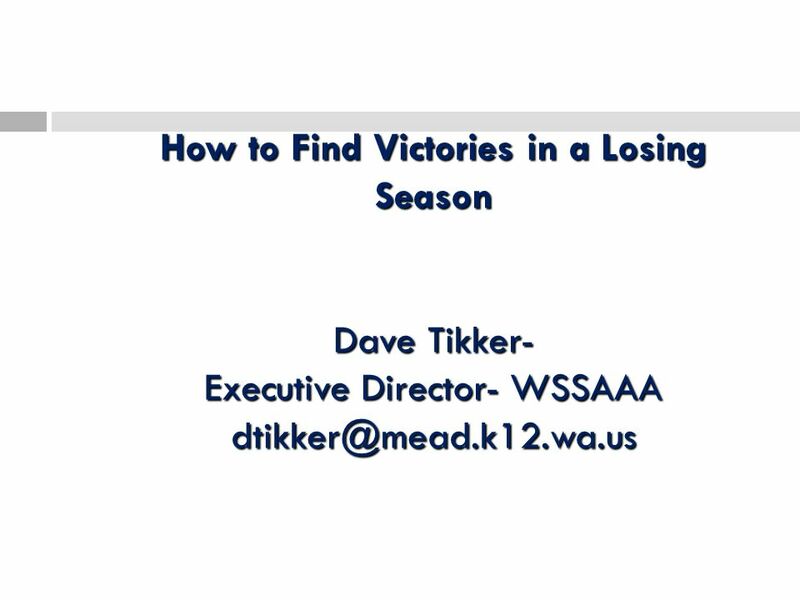 Download ppt "How to Find Victories in a Losing Season Dave Tikker- Executive Director- WSSAAA"
Student Athletes and Sport WELCOME!. REGINA HIGH SCHOOLS ATHLETIC ASSOCIATION EDUCATION THROUGH SPORT Teamwork Discipline Responsibility Respect Sportsmanship. Summer Strength & Conditioning Camp Valuable head start on next years athletic seasons Best bang for your buck you will find –6 weeks long –Monday-Thursday. 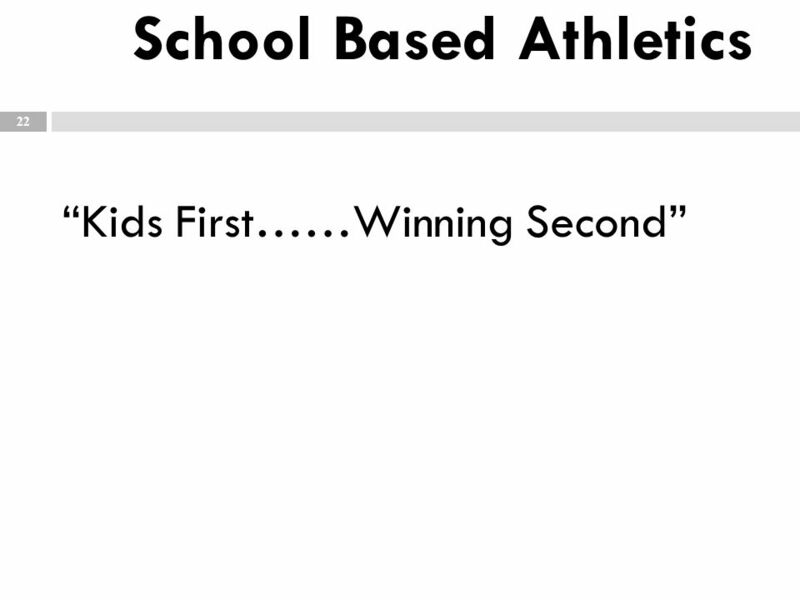 Philosophy of Middle School Athletics By Mike Stark- Principal / AD Cheney Middle School Dave Tikker- Executive Director- WSSAAA. 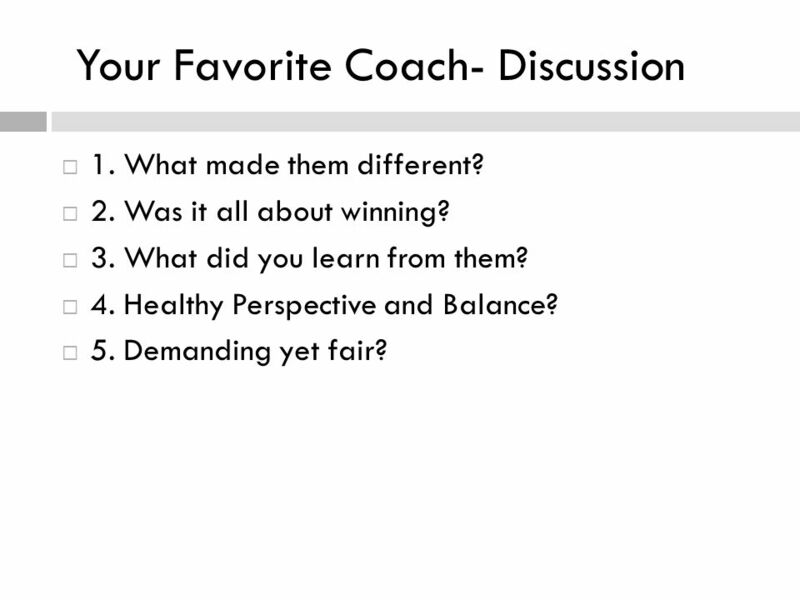 What is a Successful Coach You must be a winner?. Being a Good Sport What is Good Sportsmanship?  Good sportsmanship is an important part of responsible behavior. 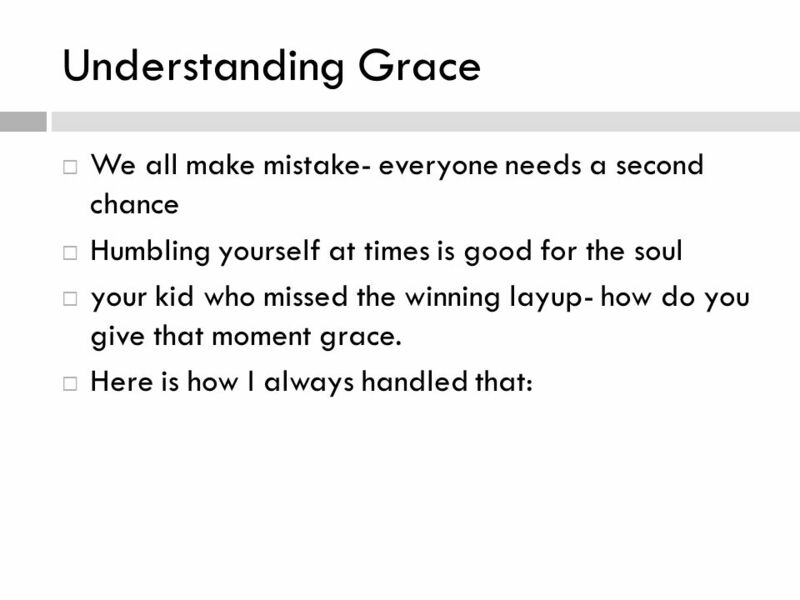 Winning and losing are daily occurrences. 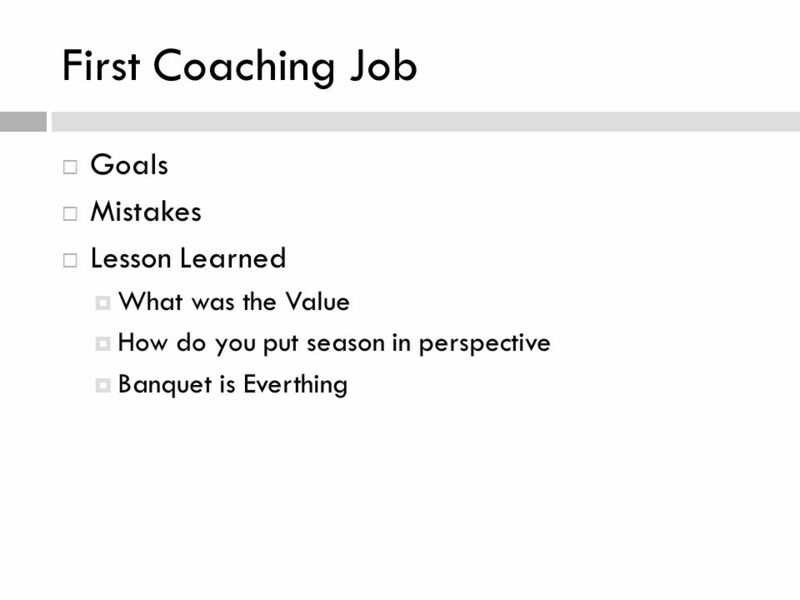 BACKGROUND Executive Director- NY 2 Years Associate Director- NM 10 Years High School/ Middle School Teacher/ Coach- TX 3 Years. Self - esteem Warm - up What are 3 signs of a person with high self esteem? On a scale of 1-5 (5 being the highest) rate your current self-esteem. 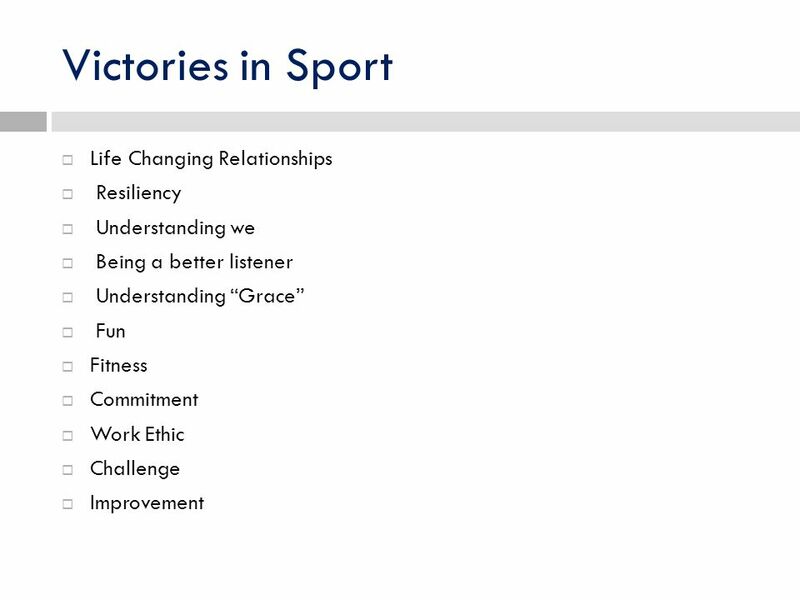 Everyone loveS the Seattle Seahawks, but did you realize that this team demonstrates many GROWTH MINDSET CHARACTERISTICS? By: Joshua Daniel Gervacio.  Service learning is the incorporation of community service within an educational system.  It is a method of teaching, learning. 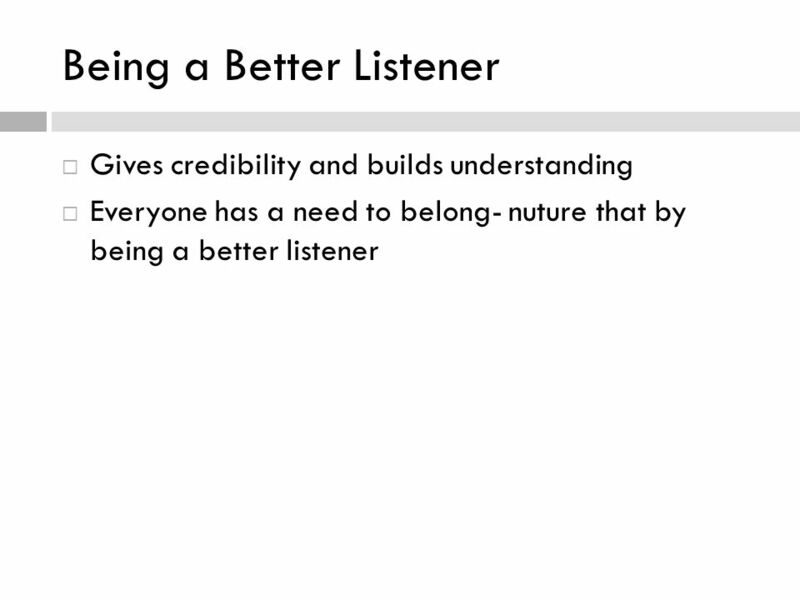 HOW TO LEAD BY EXAMPLE IF YOU CAN’T LEAD YOURSELF, YOU CANNOT LEAD OTHERS. 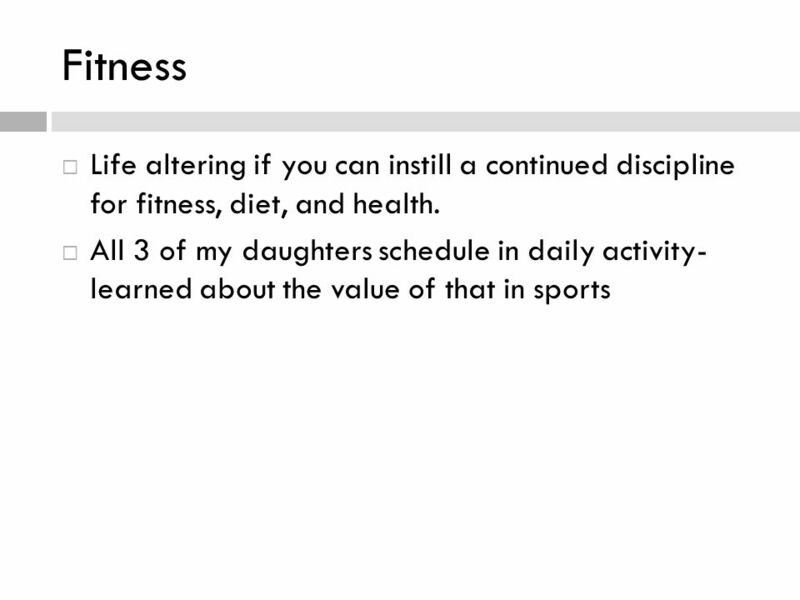 Gymnastics, Hard but Worth the Challenge By: Riley Shapiro. I Am. 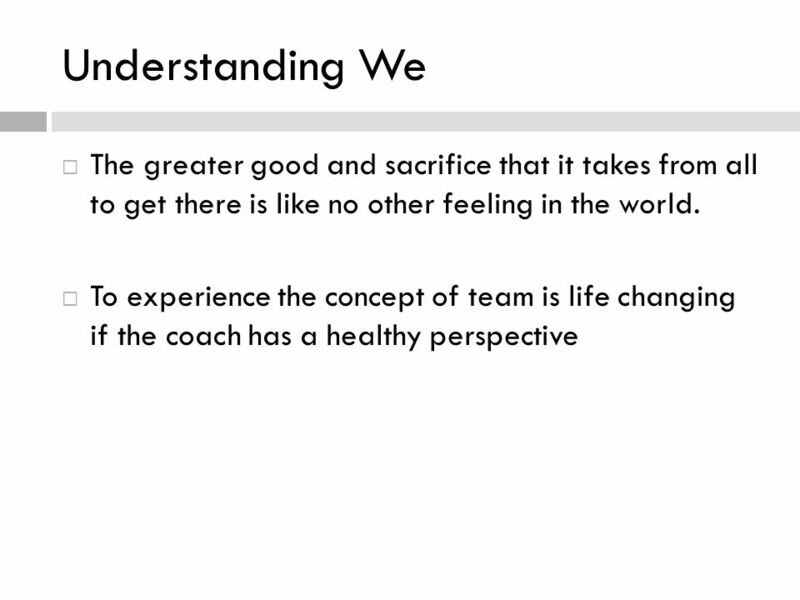 By: Christine Sacramento, ATC, NREMT Somerset Academy Charter High Winter 2014.